It was a shelltabulous day on our iLoveShelling Captiva Cruises cruise to Cayo Costa today. Especially for Carol and Amy who found this perfectly gorgeous and empty LIGHTNING WHELK. Shellzam! Happy Birthday Amy! Some of my fave peeps were on the cruise today… Jim and Annette from Shellabaloo 2. So good to see y’all! Jennifer from Colorado found a beautiful SEA URCHIN but realized it was still alive so she put it back on the water. Loree found several completely dried SEA URCHINS in the high tide wrack line so she shared one with Jennifer so she would have one to take home with her. You are so sweet L-O-R-E-E! Bill (Mr. Adorable) and Debbie found lots of shells but were also very happy to have received a $25 gift certificate from Sealife By Congress. Everybody on the cruise got the same $25 certificate! Sealife By Congress loves shellers! These were Mr Adorable’s shells he arranged in his hand to show me. See how adorable? This is only a smidgen of the shells they found. It was crazy how loaded the water was with shells. Amy from Ft Lauderdale didn’t need a mask or snorkel. The water was so clear, she walked along the waters edge to find her mermaid loot. She found these within 10 minutes of getting off the boat. Ruth and George came all the way from London, England to enjoy our weather and to find shells with us on the cruise. It was the perfect day! SAND DOLLARS, URCHINS, SUNRAYS VENUS, OLIVES, CONCHS and so much more. Clifton from Alabama found SAND DOLLARS too. They found plenty more but were the only ones to find a whole true ANGEL WING. Lucky! Vicki from Ontario, Canada found one too. This is especially a cool piece of COQUINA LIMESTONE, don’t you think? We all were lucky to have had such a calm, beautiful day to anchor on the Gulf side of the island… right in the middle of the best patch of shells on the whole beach. Great job, Captains Keith and Kevin of Captiva Cruises. Oh… and even after shelling all morning and finding so many treasures, Jennifer got off the boat, walked down the dock, looked in the water at McCarthy’s Marina then pulled this perfect LIGHTNING WHELK out of the water. hahaha We all were so impressed! We started seeing other shells in the water so we started pointing out other things we could see from the dock. The whole day was a blast meeting such fun shellers and sharing stories. You can join the fun too… Reserve your spot on an iLoveShelling shelling adventure too- CLICK HERE for dates. 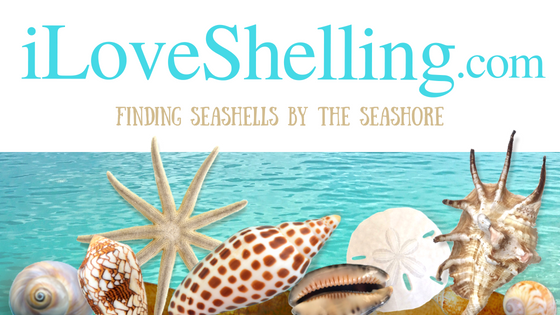 PS- still working on the iLoveShelling 5 year Shellaversary details… I promise, its coming soon! perfect weather…perfect day…Love all of the finds! By the way Pam, are you going to have a calendar for next year? Wow! What an awesome productive shelling day! I can’t wait to get there! wow what great looking shells cant wait to get there so your wonderful posts will have to keep me happy until I get there thanx so much sincerely r.g.stein p.s. we are supposed to get snow brrrrr this Saturday in akron,ohio oh well! Getting closer !!!! Family get together with our entire family and our beautiful 4 year old twins !!! A Thanksgiving ritual !! L-O-R-E-E, that is such a sweet note! Thank YOU for making the day so much fun too. It really was a fantastic group of shellers (as usual) and its so cool to see friendships spark immediately while on the trip since so many shellers have so much in common. So good to see you again and the rest of our fun shellers. Jim and I had a great time on your shelling cruise too! Can’t believe how fast the time went. I sent you pictures on your email of my afternoon finds — an alphie and two sweet lacy murexes laying side by side on the beach. I am super jealous of all you people and your fabshellous finds! What a perfect day for a cruise. We’re getting snow up in Chicago this morning. Looks like a great day for awesome shells- So wish I was there! Like Kim’s previous post -we have snow flurries in the forecast for this Halloween day here in Hamilton, Ontario- Would much prefer some warm sand in my toes and shells in my bucket!